We finally made it! It’s time to reveal the cream of the crop at the safety position. I’d like to refer to them as my “Sweet 16 Safeties”, because owning at least one of them is part of a successful blueprint for winning an IDP fantasy championship. Let’s take into consideration some numbers to support my theory real quick. Last year, Harrison Smith led all safeties in overall fantasy points in MLFS scoring format (212 pts). In the process, he outscored a lot of players and the most notable were the following: Kelvin Benjamin, LeSean McCoy, Sammy Watkins, and C.J. Mosley. I will bet the house that all of those players will be selected before Harrison Smith in the majority of IDP drafts this year. Why not draft the top player at a certain position who is capable of outscoring a large number offensive and defensive players taken before him? It seems like a no-brainer to me and my reasoning behind spending a sixth or seventh round pick on Harrison Smith. To me, it’s an easy decision because Smith is on his own tier at safety, like Gronk at the tight end position. This gives you an advantage over the rest of your league. I’ll let you ponder on that theory, but in the meantime, I’m serving up my “Sweet 16 Safeties”. Stay tuned in the following weeks for my top 50 cornerback rankings. Harrison Smith is coming off a breakout season that saw him grade out as Pro Football Focus’ No. 2 overall safety in his first year under coach Mike Zimmer. He’s a slam-dunk top pick at the safety position this year, and for good reason. Smith started all 16 games for the Vikings in 2014, notching 92 tackles, five interceptions, and three sacks. His interception and sack totals were both career-highs and Smith is still improving on his game. A first-round pick of the Vikings in 2012, Smith has started all but one game he’s played, recording 10 career interceptions. He thrives in the box and when he is near the line of scrimmage. Smith is a good blitzer and will chip in with some sacks. He plays almost as a small linebacker, reading plays and flying up to make hits. When he is allowed to roam near the line, Smith can be a really good player. He can cover running backs and tight ends effectively, and he can even line up in the slot at times. Smith excels in underneath zone coverage and has developed into a ballhawk. Smith is still young at the ripe age of 26, and under Mike Zimmer he will only get better. If you want the best, you will have to pay for the best as he’s currently going in the sixth round or after. Any player capable of leading his position in scoring will come with a hefty price tag, but Smith is worth every penny. Jones is coming off a season where, according to ProFootball Guide, he graded third out of 87 safeties in the league. He managed to accomplish this despite missing the first four games of the season due to suspension for substance abuse. He started the final 12 games, collecting 80 tackles, 3 interceptions, 1 forced fumble, and a sack. Just imagine what his final stat line would look like had he played a full season! Jones is now nearing the prime of his career and has the chance to elevate his game to the elite level and become a big playmaker. The strong safety is entering his sixth season with Miami and has shown consistent improvement throughout. Jones’ strength lies in run defense, though he also proves to be a solid coverage safety, making him one of the most valuable players on the Dolphins’ defense. He’s nailed down the Dolphins defense, and has the chance to reach a career-type season. His talent is undeniable, and with Louis Delmas back from an ACL injury ready to go week one, Jones has the opportunity to truly flourish at safety. If everything goes as planned, there is no reason not to believe Jones will only go up from here. With his continued development under defensive coordinator Kevin Coyle, I think the sky is the limit for Jones. I recently drafted Jones in the 11th round of 16 team Dynasty Football Warehouse expert draft. He was the sixth safety drafted, selected after Harrison Smith, Morgan Burnett, Eric Weddle, T.J. McDonald, and Johnathan Cyprien. You can still get Jones relatively cheap compared to the five players that were drafted ahead of him in this case and he falls into the value pick category in my book. Morgan Burnett had a major bounce-back season in 2014, grading out as Pro Football Focus’ No. 1 safety in run defense. Only Minnesota’s Harrison Smith received a rating close to Burnett in that area. Burnett also led the team in tackles and stops. Morgan was freed up to play close to the line of scrimmage due to the terrific center-field play of rookie free safety Ha Ha Clinton-Dix, who allowed a 53.3 QB rating on throws into his coverage. Burnett is fantastic stopping the run and has averaged 114 tackles the past four years with the Packers. Dom Capers is a defensive genius and knows exactly how to use Burnett and Ha Ha Clinton-Dix and will put them in positions to make big plays. The addition of Demarious Randle will also help the Packers improve their secondary. This will be the key to their success in a division with gunslingers Matt Stafford, Jay Cutler, and Teddy Bridgewater. Still only 26 years old, Burnett is a long-term building block for Green Bay’s defense and a fantasy stud worthy of being one of the first defensive backs selected in all IDP drafts. Eric Weddle is a three-time Pro Bowler and a two-time First-Team All-Pro. Weddle led the Chargers defense by playing 961 snaps last season. Since 2008, Weddle has played an average of 937 snaps during the regular season. Talk about a durable and consistent player who can carry a team on his shoulders. I found it very interesting that Weddle is the only safety in the NFL named to first or second-team All-Pro for five straight seasons. Weddle has been a franchise cornerstone on the defensive side of the ball and a key leader for the Chargers since 2007. Weddle hasn’t missed a game in the past five seasons and is one of the team captains. He’s averaged 115 tackles the past two years, so for you owners in tackle-heavy leagues, he should be at the top of your draft board at the safety position. On a side note, he’s currently fighting to get a new contract. Pay close attention to how it plays out, because if a deal doesn’t get done soon, he’ll be playing angry and with a chip on his shoulder in 2015. Jonathan Cyprien is one of my personal favorites, I absolutely love his skill-set. The Jaguars were super-high on Cyprien and burned their 2013 second round pick on him. I can’t argue with the fact that he’s yet to reach the lofty expectations that everyone had for him. Cyprien is a hard-hitting box safety who plays with an instinctual drive to make plays and lead. Last year, Cyprien took a step back from his impressive rookie season and had zero sacks, zero forced fumbles and zero interceptions. Cyprien is a guy who makes his money on big plays, not necessarily interceptions, but big plays as a whole. When Cyprien isn’t making big plays, it’s cause for concern and begs the question, why? Sure, Cyprien can’t be expected to get sacks every season, but as for the forced fumbles and interceptions, that’s where he has to shine. A safety has to be ready to make the big-play, whether it’s an interception or a big hit. The Jaguars want Johnathan Cyprien to be their version of Kam Chancellor. Coach Gus Bradley developed Chancellor in Seattle, so take note. I have faith in Gus Bradley to develop Cyprien and predict this is the year that he finally starts to reach his potential. The Jaguars are looking to him not only to perform, but to lead them in the future. It’s extremely important that Cyprien find his former self this upcoming season. If you’re like me and look for high-upside playmakers, then you’ll draft Cyprien and give him one more chance to prove his doubters wrong. T.J. McDonald exploded onto the scene last year as a first-year starter at strong safety. He arguably had the best second half of any defensive back. T.J. McDonald received the highest PFF grade of any safety in football between Weeks 9 and 17. McDonald holds more value in tackle-heavy leagues, but is locked into a major role in Defensive Coordinator Gregg Williams’ attacking scheme. McDonald is a hard hitter and physical defender, which makes him a perfect fit in St. Louis. McDonald has a fantastic and versatile skill set. He has the speed to play free safety and cover a lot of ground in the deep part of the field. He does a good job of picking up receivers running deep and seldom ever gets beat in coverage. He also has good size and strength to play in the tackle box. He is a tough run-defender that is adept at operating in the short part of the field. McDonald has the speed to cover tight ends in man-to-man or run with receivers going deep. He also can play in the tackle box. McDonald is a movable chess piece for Gregg Williams and is just scratching the surface. He has been dealing with a leg issue, so it’s something I would monitor, but doesn’t sound serious. Draft McDonald with no reservations because he could easily end up being the top scoring safety this year. Most scouts tabbed Ha Ha Clinton-Dix as the top safety in last year’s draft over the likes of Calvin Pryor, Deone Bucannon, and Jimmy Ward. Clinton-Dix is another Nick Saban pupil and proved last year he was ready for the big stage. Clinton-Dix was a two-year starter in Nick Saban’s secondary, recording seven career interceptions and showing flexibility as both a box and deep safety. He has plus range, is a sure tackler, and even flashed man-cover skills. While he may never be known as a superb athlete, he’s in the right defensive scheme and has the perfect coach in Dom Capers to help him blossom. Make no mistake, he had his share of lumps as most rookies do, despite his first career interception in Week 3, but Clinton-Dix saw the game begin to slow for him later on in the season. He finished the season second on the team in tackles with 92. Clinton-Dix must remain healthy first and foremost, but also needs to make that second year “jump” most coaches talk about. He’s shown he isn’t afraid to play center field or near the line of scrimmage and the potential he showed as a rookie should continue to develop in 2015. Clinton-Dix also won’t have to wait two months into the season to take over as the starter like he did last year. The job is his, and the Packers expect the pairing of Clinton-Dix and Morgan Burnett to grow in their second season together. They should be a dangerous tandem for years to come in the land of cheeseheads. James Ihedigbo might not be a household name yet, but he probably should be after his last two monster seasons in the Motor City. In the last two years, Ihedigbo has quietly registered 172 tackles, two sacks, five forced fumbles, seven interceptions, and 19 passes defended. Wow! Talk about filling up the stat sheet! Ihedigbo pretty much does it all and in fantasy, that’s money in the bank. Ihedigbo finished the 2014 season as the second-highest scoring safety in MLFS scoring formats behind young stud Harrison Smith. He was a Pro Bowl alternative and played in one of the top defenses in the NFL. Ihedigbo was half of one of the best safety tandems in the league playing alongside Glover Quinn. Ihedigbo is 31-years-old, which is the only drawback to owning him. But, much like Antoine Bethea, he’s durable and a proven veteran. Remember age is just a number and don’t let that deter you from drafting him. Another strong selling point for owning Ihedigbo is that he’s in a contract year, and should be very motivated to perform at a high level. He probably realizes that this is his last shot at a big payday at his age, so expect another banner season for Ihedigbo. Antoine Bethea is one of the best all-around safeties in the game. His track record speaks for itself and consistency has been his middle name in his 9-year career. Last year’s team MVP for the Niners, has 111 consecutive games and 890 tackles since 2006 which leads all active DBs in that time frame (per Gamebook Statistics). Bethea has been a tackle machine and has registered at least 86 tackles every year since 2007 with the exception of 2008. He matched his career-high last year with four interceptions and even took one back to the house. There are a lot of moving parts in San Francisco this year since they lost 11 players who started at least nine games last season. Have no fear, because Eric Mangini is here and will make the most of what he has to work with. Eric Reid is going to be pushed by Jaquiski Tartt for snaps and Jimmy Ward is still lurking in the shadows. Bethea will take the young guys under his wing and lead by example. Let’s not forget that Eric Mangini is a defensive mastermind and was the New England Patriots’ defensive backs coach from 2000 to 2004 before being promoted to defensive coordinator in 2005. The 49ers secondary will need to pick-up the slack for the losses up the middle with Patrick Willis, Justin Smith, and Chris Borland all hanging up their cleats. NaVorro Bowman will be back after missing all last season with a torn MCL and ACL in his left knee. He’ll be an intimidating force, but I think there will be more tackle opportunities this year for Bethea than ever before due to the losses of Borland and Willis who combined for over 150 tackles last year. Tyvon Branch has appeared in just five games over the last two years, but is still only 28 and has a multiple skill set when healthy as a run stuffer and capable cover man. I’m willing to give him a pass on his last two injury-riddled seasons and focus on the player that averaged 108 tackles from 2009-2012 with the Oakland Raiders. The good news is that Branch is fully recovered from his 2014 foot injury. He’s currently penciled in as Kansas City’s strong safety with Eric Berry sidelined. While he comes with durability concerns and plenty of risk, he’s capable of producing lots of tackles for those of you in tackle-heavy scoring IDP leagues. The former college corner has shown serious in-the-box talent. Branch ran in the low 4.3s at the 2008 Scouting Combine and has been a fierce run-support safety in the NFL. He’s an excellent low-risk add for a Chiefs defense that desperately needs safety help with Eric Berry battling cancer and Ron Parker a free agent. The opportunity is knocking on the door for Branch and if he can stay on the field he’ll produce for his fantasy owners. Don’t be afraid to go out on a limb and take a chance on Branch this year. Kam Chancellor is the lightning to Earl Thomas’ thunder in the Seahawks Legion of Boom. They complement each other so well and are a very intimidating force for opposing offenses. They don’t call them the Legion of Boom for nothing and Chancellor can lay the lumber with the best of them! I would probably rank Thomas and Chancellor about dead-even if not for the fact that Chancellor appears to be completely healthy after the MCL injury he suffered late last year. Chancellor is tough as nails and played through a torn MCL to earn second-team All Pro honors. Chancellor possesses a rare combination of speed, strength, and agility while demonstrating a hard-hitting mentality that makes him a true game-changing force. Don’t let last year’s stats mislead you; Chancellor is a ball hawk just like teammate Earl Thomas and plays with fire and determination. You will probably have to pay a premium to get Chancellor, but he’s worth the price since you can lock him into your starting lineup every week. Since coming into the league as a rookie in 2010, Chancellor has only missed three games, which speaks for itself. Tyrann Mathieu, a.k.a. “Honey Badger”, is oozing with talent. Unfortunately, he has made more headlines off the field than on in his short career. He was a major disappointment last year after a strong rookie campaign in 2013 when he had 68 tackles, two interceptions, a sack and a forced fumble. Mathieu was in the mix for Defensive Rookie of the Year honors in 2013 before blowing out his knee. He spent last season easing back into the mix and fighting through a nasty thumb injury. Mathieu is finally healthy and projects as a difference-maker in his free safety/slot corner hybrid role. Head Coach Bruce Arians has been pumping-up Mathieu to the media and claims that he looks like the same player he was as a rookie. Given his high-upside and play-making ability, I’d be willing to gamble on Mathieu. Honey Badger is the ultimate high-risk, high-reward type of player but the reward outweighs the risk if he’s the 2013 version of himself. If you’re planning on drafting Mathieu, just be sure to add plenty of depth at the safety position or invest in an insurance policy like say Deone Bucannon or Reshad Johnson. Considered by many coaches and players to be the best safety in the league, there’s no doubt Earl Thomas has made a name for himself with his trademark physical play. He’s been a first-team All-Pro in each of the last three seasons and has never missed a game in his five-year career. Thomas is the definition of “ball-hawk” and has 16 career interceptions, eight forced fumbles, and four fumbles recovered in his short career. Thomas anchors the NFL’s best defense, but gets plenty of help in the secondary from strong safety Kam Chancellor and shutdown corner Richard Sherman. Earl Thomas is currently recovering from surgery in February to repair a torn labrum. The good news is that he hasn’t suffered any setbacks and is making steady progress. Depending on how his rehab goes, it’s possible that he might have to go on PUP or miss the first couple weeks of the season. If that happens, he might become a value pick if his ADP drops due to the injury concerns and uncertainty of his situation. Thomas is the type of player that will prove his doubters wrong and work harder than anyone to get back on the field. I’ll be targeting him regardless of how many games he misses because Thomas is worth the wait and will be a difference maker for his lucky owners. Barry Church followed up his breakout season in 2013 with a solid performance last year for the Cowboys. He’s two years-removed from leading all defensive backs with 135 tackles. The Cowboys suspect linebacker situation for most of the season certainly helped Church’s total. Sean Lee should be back and ready for the start of the season, so it’s possible that we see a dip in Church’s production. Church spent most of his early career as an in-the-box strong safety and situational nickel linebacker, but was moved to free safety in 2014 where he found his home. In tackle-heavy leagues, Church should be one of the first ten safeties off the board. Just keep in mind that Church provides his owners with little else in the box score besides tackles. This is the caveat to owning Church, so proceed with caution owners. Personally, I’d rather wait and draft a safety a tier or two below Church like Tashaun Gipson, T.J. Ward, or Glover Quinn. Antrel Rolle was one of my favorite offseason free agent acquisitions on the defensive side of the ball and I’m not just saying that because I’m a Bears fan. I wrote about him a month ago and highlighted him as an immediate impact free agent acquisition. Rolle will bring a much-needed veteran locker room presence to the Bears and be depended on to lead a young secondary headlined by Kyle Fuller. He’s been a vital part of the Giants secondary for the past five years and has nine interceptions in the last two years. During this time, he was a tackle machine, averaging 92 tackles. If you’re in a tackle-heavy league, Rolle is going to be monster, and will also help you in interceptions and passes defended categories. In MLFS leagues, Rolle finished last year 18th overall at safety; just behind new teammate Ryan Mundy, Reshad Jones, and Michael Griffin. I’m projecting Rolle to finish somewhere in the neighborhood of 95-100 tackles, 5-6 interceptions, and 12-15 passes defended. This line should easily put him in the top-ten at his position, which is why I think he’s a great target this year at the safety position in IDP leagues. Don’t sleep on Rolle because he’s going to provide all the goodies and make his fantasy owners smile from ear-to-ear in 2015. Michael Griffin has started nearly every game for the Titans during his eight-year career. With the exception of 2013 (14 games) Griffin has played in 16 games every year since his rookie year in 2007. He had another productive season in 2014, posting 108 tackles and two interceptions as well as career highs in sacks (three) and tackles for loss (six). He’s been the unquestioned leader of the Titans defense for years and a staple of consistency and durability. I would rank Michael Griffin higher in tackle-heavy IDP leagues. No matter your IDP league scoring format, he’s one of the premier safeties in the NFL. He pretty much does it all and you can bank on him staying on the field and putting up consistent numbers across the board. 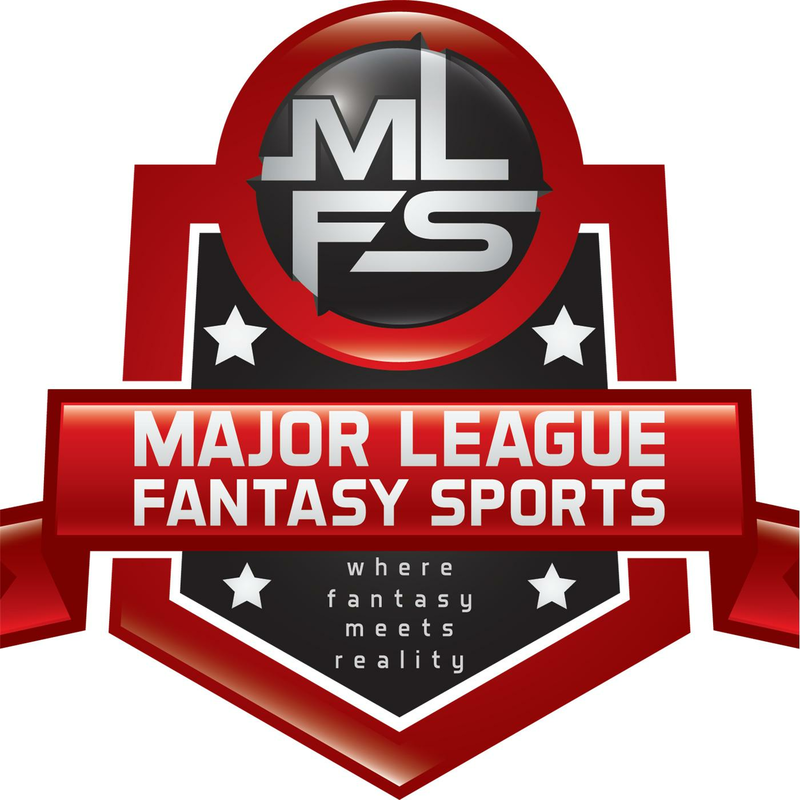 Major League Fantasy Sports Radio: Join Ej Garr and Corey D Roberts on Sunday July 25th from 7-9pm EST for this week’s episode of Major League Fantasy Sports Radio sponsored by The Sports Palooza Radio Network. Call in at 646-915-8596. This week we will discuss some pitchers that may be laying around on the wire in some leagues, or undervalued that could make for a nice addition down the stretch. This week’s guests include Coach Steve Swinson (Pitching Coach Kokomo HS, Indiana), Bryan Luhrs of Real Deal Dynasty Sports, and Ryan Bishop who is an 8 year veteran of Major League Fantasy Baseball. It should be an exciting debate. Bring your big boy pants!